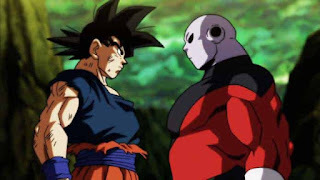 After 2 weeks of waiting fans will finally get to to see Vegeta, the prince of all saiyans (Not to big of a title in his on Universe, considering he and Goku are the only pure Saiyans, 4 are half Saiyans and 1 is a quarter Saiyan) face off against Jiren. However this will be the episode that'll welcome DragonBall Super to the new year, 2018. But before the episode airs on Sunday, Jan 7 2018, we have gotten a few leaked images giving us insight on what will happen in the episode. As the spoiler of this episode and few more had been leaked a while back, this is what we know, will happen. Goku and Jiren will start their round 2 which will definitely end with Jiren stomping Goku, as Goku is still unable to use Ultra Instinct. After that Vegeta will try to fight Jiren. this is what most fans are looking out for. What's interesting is that Jiren has completely stomped Super Saiyan Blue Kaioken x20 Goku, back when Goku was still pretty fresh and had most of his stamina. Yet he was unable to do anything. 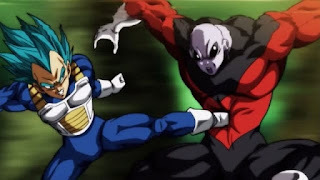 While here Vegeta is shown to actually hit Jiren. 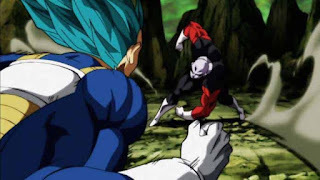 1- Jiren is holding back as he knows Super Saiyan Blue can't even graze him. 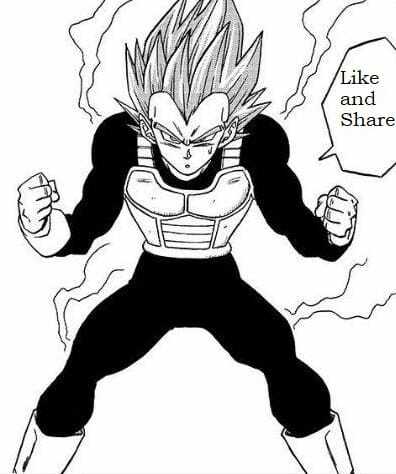 2- Vegeta is using Super Saiyan Blue Mastered. If its the latter, then Vegeta will be getting one major power boost. What is Super Saiyan Blue Mastered? As the name implies it is the complete mastery of Super Saiyan Blue. This was first used in the DragonBall Super Manga by Goku against Merged Zamasu and he was able to keep up with him for good while. 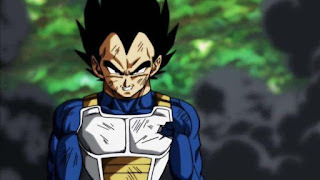 Vegeta also attained it in the manga later on and used it against Beerus in a sparring match which caused Beerus to get serious for an instant. this should give you a good idea on how powerful Super Saiyan Blue can be when mastered. if that truly is the case and Super Saiyan Blue mastered is making its way to the anime just like Super Saiyan God did, then that wold be delightful. Although the Spoilers for DragonBall Super episode 123 have confirmed that Vegeta will loose to Jiren, and to be quite honest I also didn't expect him to win, No one did. What do you guys think will happen? Is Jiren holding back or Super Saiyan Blue Mastered is gonna make an appearance?